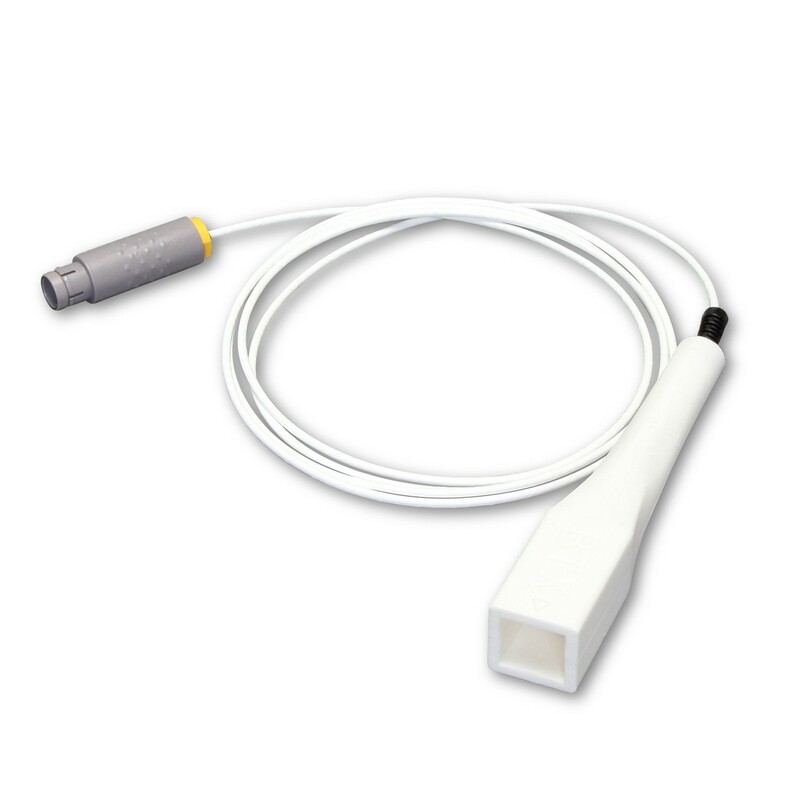 The AgilePulse In Vivo System, used for animal immunization, vaccine development, and gene therapy, provides an intra-muscular, intra-dermal, or intra-tumor electroporation solution to produce maximum transfection efficiency. Traditional in vivo nucleic acid delivery systems, such as gene gun delivery, suffer from poor efficiency. The AgilePulse In Vivo System effectively introduces DNA or RNA into the target tissue, representing a powerful and safe means for stimulating an immune response that recognizes and eliminates target molecules in the body. For vaccine applications, DNA vaccination through the dermal layer is preferred since it is an easily accessible site that is immunologically active. After direct injection of plasmid DNA in the dermal layer, a programmed sequence of electric pulses is applied through a miniature parallel needle electrode array to promote cellular uptake and transfection. Cells in the surrounding tissue are transfected, including dendritic antigen-presenting cells and mesenchymal origin cells. Gene expression simulates the immune system to respond to the secreted antigen. Gene expression in skin is 100-fold higher when delivery is enhanced by electroporation compared to simply injecting plasmid DNA (Roos, et. al. 2009). Simple User Interface—touch screen user interface, USB key data storage, and Windows® Mobile 6.0 operating system. The system automatically stores a digitized record of all pulse parameters for quality control. EN 60601-1, EN 60601-1-1 EN 60601-1-2, UL60601-1 and CSA601.1 compliant. Pulse Agile® Advantage—patented Pulse Agile technology combines a unique sequence of short, high-intensity pulses to open pores in cell membranes, followed by long, low-intensity pulses to further drive the DNA into cells via electrophoresis. The adjustable pulses improve efficiency while maintaining cell viability. The specialized use of the Pulse Agile waveform has shown to significantly enhance antigen specific CD8+ T-cell response when standard protocols do not. Uniform, Reliable Electroporation—AgilePulse parallel-needle arrays produce uniform electric fields across the treatment area for a more thorough transfection of the tissue. Electrode impedance is monitored through software analysis to ensure reliable electrode placement in tissue each and every time. 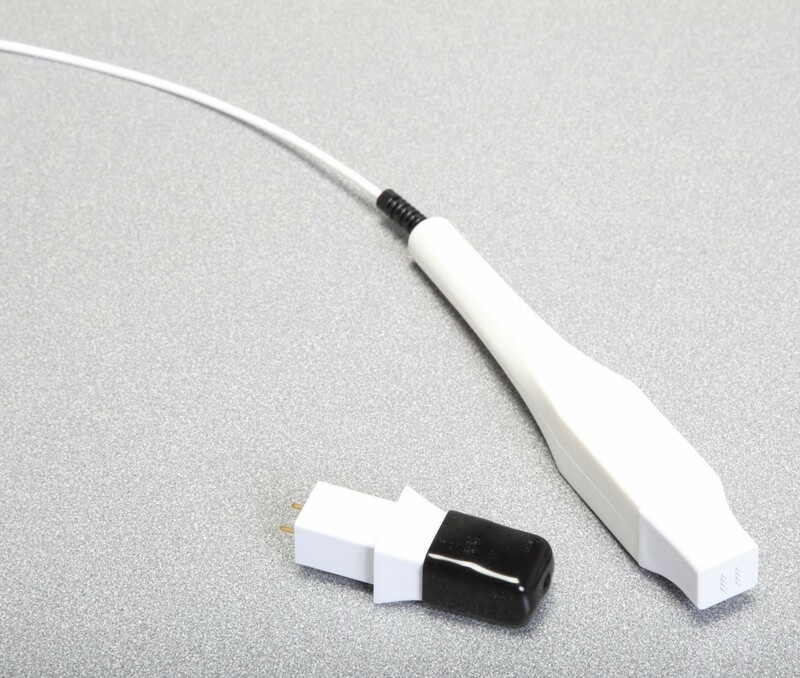 Simple, Fast Treatment—simple yet effective intra-dermal or intramuscular electrode design allows for shorter delivery times of less than a second. 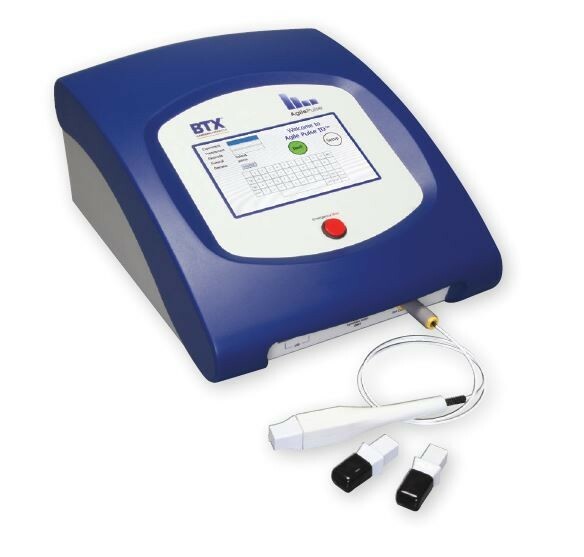 The electrodes provide a uniform pulse to cover and target larger areas of tissue using a single pulsing application. Optimal Design—miniature, 2-mm length needles easily penetrate the layers of skin or muscle and target cells for high efficiency gene delivery. Safety—Each needle electrode array comes with a safety cover and easy grip sides to make the electrode insertion procedure simple and safe. 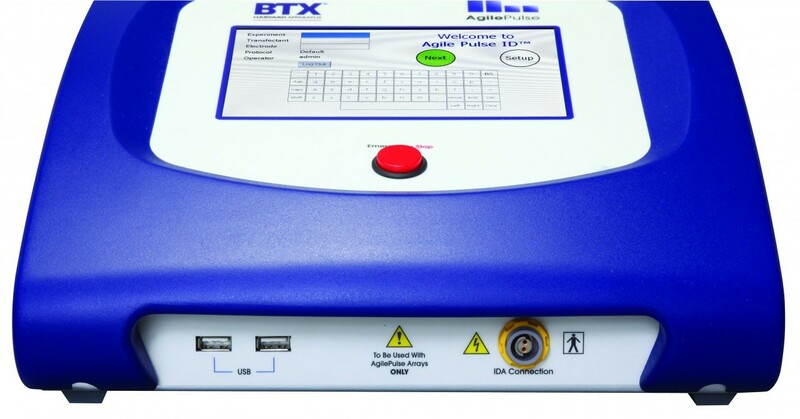 The AgilePulse In Vivo system (formerly the DermaVax device) can be used for veterinary (research use only) and human tissue (research use only) applications. Anderson AM, Baranowska-Hustad M, Braathen R, Grodeland G, Bogen B. Simultaneous Targeting of Multiple Hemagglutinins to APCs for Induction of Broad Immunity against Influenza. J Immunol. 2018 Mar 15;200(6):2057–2066. Angamuthu M, Murthy SN. Therapeutic Applications of Electroporation. In: Dragicevic N, Maibach H, eds. Percutaneous Penetration Enhancers Physical Methods in Penetration Enhancement. Berlin, Heidelberg: Springer;2017:122-137. Bartoletti DC, Harrison GI. and Weaver JC. The number of molecules taken up by electroporated cells: quantitative determination. FEBS Lett. 1989:256:4-10. Biragyn A, et al. Tumor-associated embryonic antigen-expressing vaccines that target CCR6 elicit potent CD8+ T cell-mediated protective and therapeutic antitumor immunity. J Immunol. 2007 Jul 15;179(2):1381-1388. Bråve A, et al. Late administration of plasmid DNA by intradermal electroporation efficiently boosts DNA-primed T and B cell responses to carcinoembryonic antigen. Vaccine. 2009 Jun 8;27(28): 3692-3696. Bregje L, et al. Comparison of the Expression Kinetics and Immunostimulatory Activity of Replicating mRNA, Nonreplicating mRNA, and pDNA after Intradermal Electroporation in Pigs. Molecular Pharmaceutics. 2018:15 (2):377-384. Chang, DC, Chassy BM, Saunders JA and Sowers AE, eds. Guide to Electroporation and Electrofusion. San Diego: Academic Press;1992. Christopher W, et al, Long-term multilineage engraftment of autologous genome-edited hematopoietic stem cells in nonhuman primates. Blood. 2016;127:2416-2426. Daftarian MP, Vosoughi A, Lemmon V. Gene-Based Vaccination and Screening Methods to Develop Monoclonal Antibodies. Methods Mol Biol. 2014;1121:337-346. Davtyan H, et al. 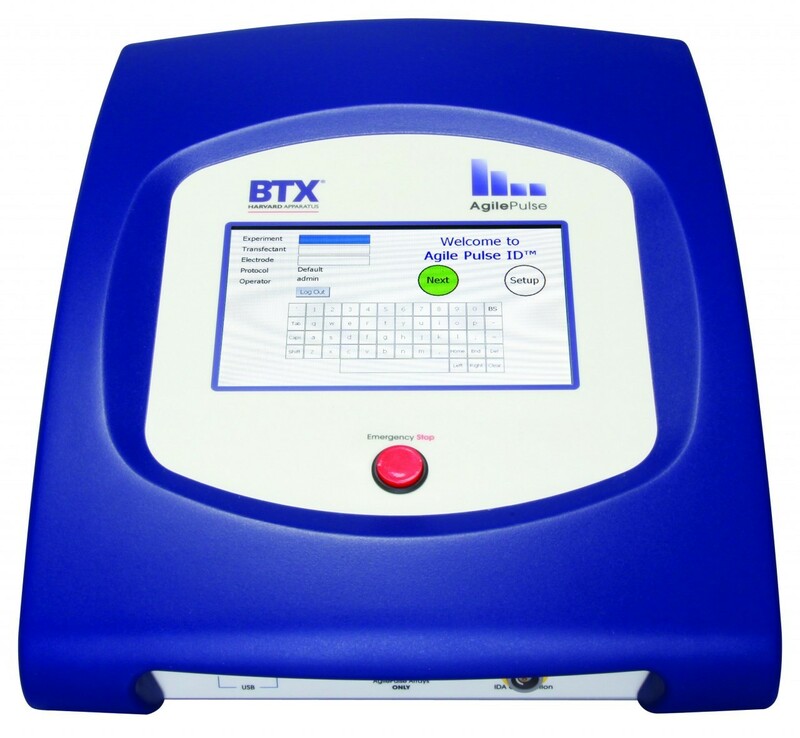 BTX AgilePulse(TM) System is an Effective Electroporation Device for Intramuscular and Intradermal Delivery of DNA Vaccine. Curr Gene Ther. 2014;14(3):190-199. Denies S, Cicchelero L, Polis I, Sanders NN. Immunogenicity and safety of xenogeneic vascular endothelial growth factor receptor-2 DNA vaccination in mice and dogs. Oncotarget. 2016;7(10):10905-10916. Denies S, et al. Evaluation of a Xenogeneic Vascular Endothelial Growth Factor-2 vaccine in Two Preclinical Metastatic Tumor Models in Mice. Cancer Immunol Immunother. 2017 Dec;66(12):1545-1555. Dimitrov DS, and Sowers AE. Membrane electroporation - fast molecular exchange by electroosmosis. Biochimica et Biophysica Acta. 1990 1022:381-392. Djuzenova CS, Zimmermann U, Frank H, Sukhorukov VL, Richter E, Fuhr G. Effect of medium conductivity and composition on the uptake of propidium iodide into electropermeabilized myeloma cells. Biochimica et Biophysica Acta. 1996;1284:143-152. Disalvo EA and Simon SA, eds. Permeability and Stability of Lipid Bilayers. Boca Raton: CRC Press;1995. Eyquem J, et al. Targeting a CAR to the TRAC Locus with CRISPR/Cas9 Enhances Tumour Rejection. Nature. 2017;543:113-117. 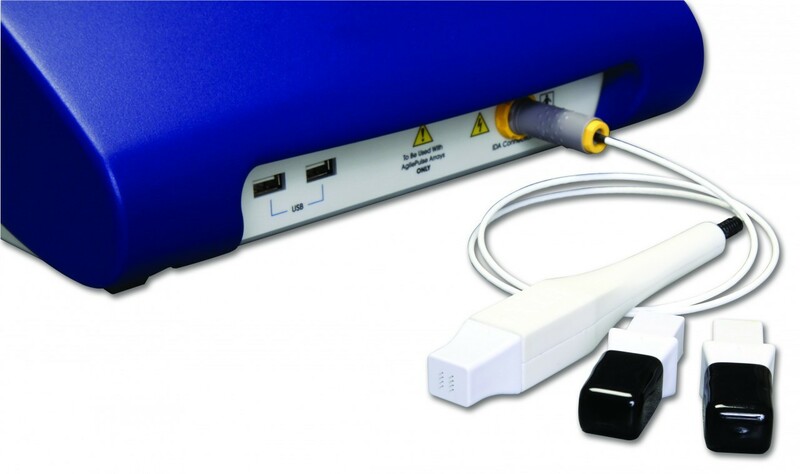 Gehl J. Electroporation for drug and gene delivery. Doctoral thesis. University of Copenhagen. 2003. Grodeland G, Fredriksen AB, Løset GÅ, Vikse E, Fugger L, Bogen B. Antigen Targeting to Human HLA Class II Molecules Increases Efficacy of DNA Vaccination. J Immunol. 2016;197(9):3575-3585. Hawksworth DJ, Ziemann R, Manoj S. Enhanced Immune Response Following DNA Immunization Through In Vivo Electroporation. Monoclon Antib IImmunodiagn Immunother. 2016 Jul 27;35(5):239-244. Johansson DX, Ljungberg K, Kakoulidou M, Liljestrom P. Intradermal Electroporation of Naked Replicon RNA Elicits Strong Immune Responses. PLoS One, 2012 Jan 4;7(1):e29732. Juillerat A, et al. An Oxygen Sensitive Self-Decision Making Engineered CAR T-Cell. Sci Rep. 2017 Jan 20;7:39833. Juillerat A, et al. Design of Chimeric Antigen Receptors with Integrated Controllable Transient Functions. Sci Rep. 2016 Jan 11;6:18950. Klenchin VA, Sukharev SM, Chernomordik LV, Chizmadzhev YA, Electrically induced DNA uptake by cells is a fast process involving DNA electrophoresis. Biophys J. 1991;60:804-811. Lladser A, Ljungberg K, Tufvesson H, Tazzari M, Roos A, Quest FG, Kiessling R. Intradermal electroporation with a survivin DNA vaccine induces CTLs against a self-epitope, suppresses angiogenesis and confers long-term protection against mouse melanoma. Cancer Immunol Immunother. 2010 Jan;59(1):81-92. Lladser A, et al. Intradermal electroporation with a survivin DNA vaccine induces CTLs against a self-epitope, suppresses angiogenesis and confers long-term protection against mouse melanoma. Cancer Immunol Immunother. 2010 Jan;59(1):81-92. doi: 10.1007/s00262-009-0725-4. Epub 2009 Jun 14. Lundberg K, Roos AK, Pavlenko M, Wehrum D, Pisa P. A modified epitope identified for generation and monitoring of PSA-specific T cells in patients on early phases of PSA-based immunotherapeutic protocols. Vaccine. 2009 Mar 4;27(10):1557-65. Neuman E, Sowers AE, and Jordan C.A, eds. Electroporation and Electrofusion in Cell Biology. New York: Plenum Press;1989. Neuman E, Toensing K, Kakorin S, Budde P, Frey J. Mechanism of electroporative dye uptake by mouse B cells. Biophys J. 1998;74:98-108. Neumann E, Kakorin S, Toensing K. Fundamentals of electroporative delivery of drugs and genes. Bioelectrochem Bioenerg. 1999;48:3-16. Nickoloff, Jac A., ed. Plant Cell Electroporation and Electrofusion Protocols. Methods in MolecularBiology, Volume 55. Totowa, New Jersey:Humana Press;1995. Peterson CW, et al. Long-Term Multi-Lineage Engraftment of Genome-Edited Hematopoietic Stem Cells after Autologous Transplantation in Nonhuman Primates. Blood. 2016 May 19;127(20):2416-2426. Roos AK, et al. Skin Electroporation: Effects on Transgene Expression, DNA Persistence and Local Tissue Environment. PLoS ONE. 2009 Sep 30;4(9):e7226. Roos AK, King A, Pisa P. DNA vaccination for prostate cancer. Methods Mol Biol. 2008;423:463-72. Roos AK, Moreno S, Leder C, Pavlenko M, King A, Pisa P. Enhancement of cellular immune response to a prostate cancer DNA vaccine by intradermal electroporation. Mol Ther. 2006;13:320-327. Roos AK, Eriksson F, Walters D, Pisa P, King A. Optimization of skin electroporation in mice to increase tolerability of DNA vaccine delivery to patients. Mol Ther. 2009 Sep;17(9):1637-42. Shixia Wang, Shan Lu. DNA Immunization. Curr Protoc Microbiol. 2013;31:18.3.1-18.3.24. Sukharev SI, Klenchin VA, Serov SM, Chernomordik LV, Chizmadzhev Y. Electroporation and electrophoretic DNA transfer into cells. The effect of DNA interaction with electropores. Biophys J. 1992;63:1320-1327.
van der Woning B, et al. DNA immunization combined with scFv phage display identifies antagonistic GCGR specific antibodies and reveals new epitopes on the small extracellular loops. mAbs. 2016:8(6):1126-1135. Vertuani S, et al. HER-2/neu mediated down-regulation of MHC class I antigen processing prevents CTL-mediated tumor recognition upon DNA vaccination in HLA-A2 transgenic mice. Cancer Immunol Immunother. 2009 May;58(5):653-664. Epub 2008 Sep 27. Wang L, et al. Evaluation of Candidate Vaccine Approaches for MERS-CoV. Nat Comm. 2015 Jul28;6:7712. Wolf H, Rols M P, Boldt E, Neumann E, Teissie J. Control by pulse parameters of electric field mediated gene transfer in mammalian cells. BiophysJ. 1994;66:524-531. Zerbib D, Amalric F, Teissie J. Electric field mediated transformation: isolation and characterization of a TK+ subclone. BiochemBiophys ResCommun. 1985;129:611-618.